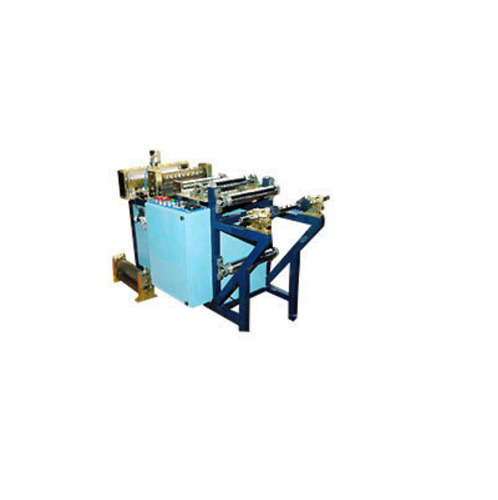 Aluminum Foil Folding, Corrugation and Cutting Machines are available in different finish specifications carrying on them specific structural/operation based changes so as to perfectly match up with customer’s needs. These aluminum foil folding, corrugation cutting machines come with corrugation roller depth of 3.5 - 4 mm with maximum roller width of 310mm. These also feature DC gear drive unit, on line cutting of separator (as per required lengths), pneumatically operated operations, cutter facility for folding of edges, 20 separators/min of operating speed, provision of setting length of separator through digital counter fitted with encoder and control panel for precision handling of all above mentioned mechanisms.